Stock Eliminator and Super Stock class drag racing is one of the few places you will see a wide variety of muscle cars (both new and old) in competition. Cars that race in this "class" of sportsman style racing have many restrictions and rules that govern how cars are modified. 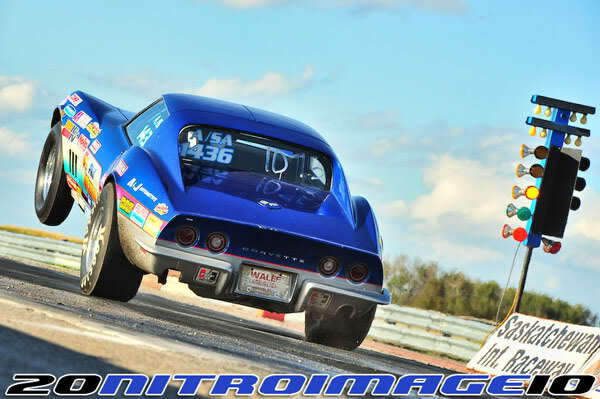 For a muscle car fan stock and super stock cars are about as original in appearance as any class of racing. 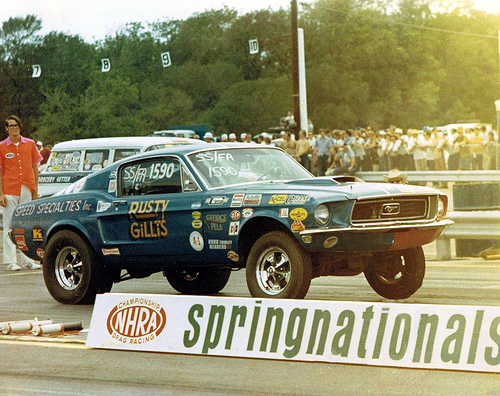 According to the National Hot Rod Association, or NHRA, web site "Super Stock vehicles may look like ordinary passenger vehicles, but they are highly modified race cars. The category features primarily late-model sedans and vintage muscle cars, and entries are classified using a system that divides factory shipping weight by NHRA-factored horsepower. Significant engine modifications are permitted, but the vehicle must retain the correct engine block, cylinder heads, and carburetor. 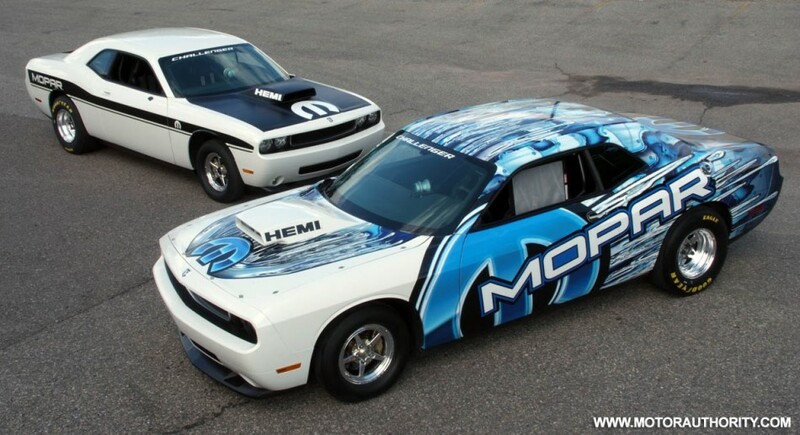 The top class is SS/AH, which is exclusively for '68 Dodge Dart and Plymouth Barracuda factory race cars. Cars are handicapped using an index system, and the breakout rule is enforced." Stock to their big brothers in Super Stock, but the rules regarding everything from engine modifications to body alterations are much stricter. Virtually any car is eligible to compete, and entries are classified using a system that divides factory shipping weight by NHRA-factored horsepower. Bodies must be unaltered and retain a full factory interior. Tires are limited to a maximum nine-inch-wide rear slick. Engines must be correct for the make and model vehicle and must retain stock cylinder heads, intake manifold, and carburetor or fuel injector. Modifications are limited to a basic balancing and rebuild with only a few performance enhancements. Despite these restrictions, even some small block cars are capable of 10 second quarter mile passes. In reality, anyone watching this class of racing sees a wide variety of very powerful muscle cars pulling wheels stands and racing in very close and exciting handicap racing. Races are often won and lost by incredibly small margins (thousands of a second). What makes this class of racing really unique is the racers themselves. These die hard performance addicts work tirelessly to extract every ounce of power and efficiency from their cars. Often spending thousands of dollars and hours in the pursuit to find a quicker way down the track. If this style of racing and performance interests you be sure to check out www.classracer.com. In recent years Ford and Chrysler have been building stock/super stock specific late model Challengers and Mustangs to compete. The reintroduction of these purpose built track cars has caused some conflict in parts of the racing community but has ignited the interest of fans everywhere. Read more about the Cobra Jet Mustangs and Drag Pack Challenger.